Just added the Kemper Power Rack to the studio setup. Sounds fantastic!!! Anyone who has ever tried to mount a wah pedal to a pedalboard knows that due to the battery cover and footer screws it can present a challenge. 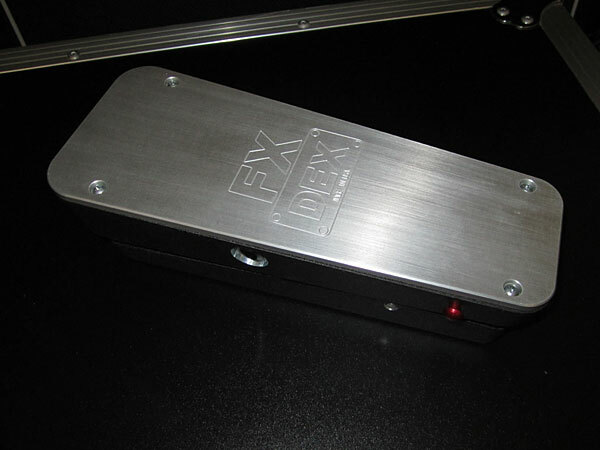 I found a company called Alloy Musical Products that manufacture a product called FX Dex, which are effects mounting plates for wah pedals and other effects pedals. 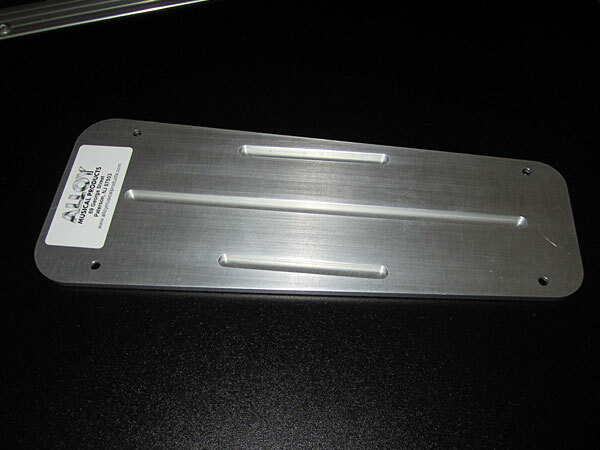 The mounting plates are Precision CNC machined from solid 6061 aircraft aluminum alloy and are dimensionally identical to the stock base plate. 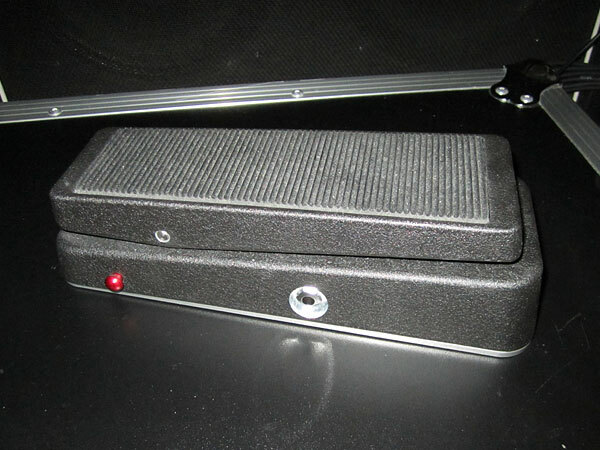 I ordered one to use on my Dunlop Rack Wah Controller and found it to be a great high quality solution for getting a smooth stable platform for mounting your wah pedal. The alloy plate replaces the stock bottom plate using the original screws and allows you to return the pedal to stock if need be. Note: the plate does not feature a door to access the battery like the stock plate but this was not an issue since I have a power supply on my board. For more info you can check their website at: www.alloymusicalproducts.com. 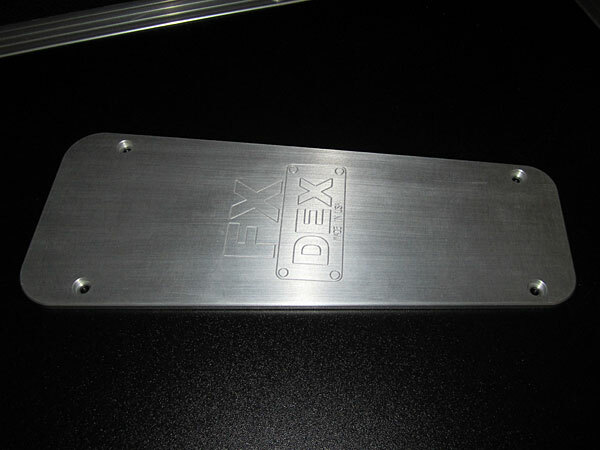 Here are some photos of the FX Dex plate and how it looks when installed. 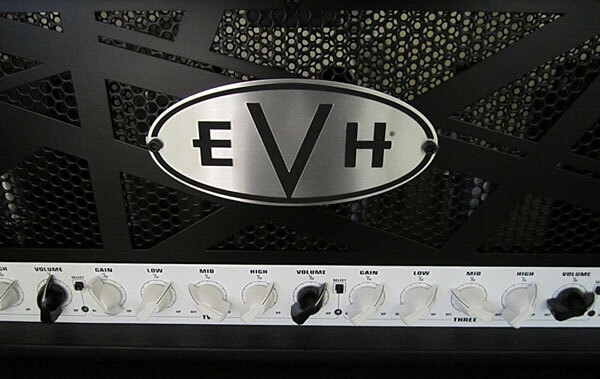 For other EVH 5150 III amp owners this might be helpful.... When you want to make a quick volume adjustment on stage in low light it can be hard to determine which knob is which with all the white knobs on these amps. I decided to change the 3 master volume knobs to black in order to easily spot them in low light situations. If you want to make the same modification get Fender part number 0990935000 which includes 6 black knobs. A small straight edge screw driver is all that is needed for the install and can easily be returned to stock if need be. Input provided by a Line 6 Relay 90 digital wireless unit. I am running the TC G-Major 2 for Delays, Reverb, Chorus, etc... 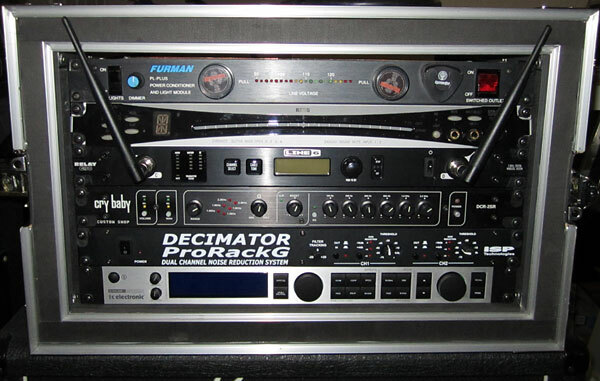 The Decimator keeps a lid on any noise issues with either my Marshall JVM 410H or EVH 5150 III amp head. 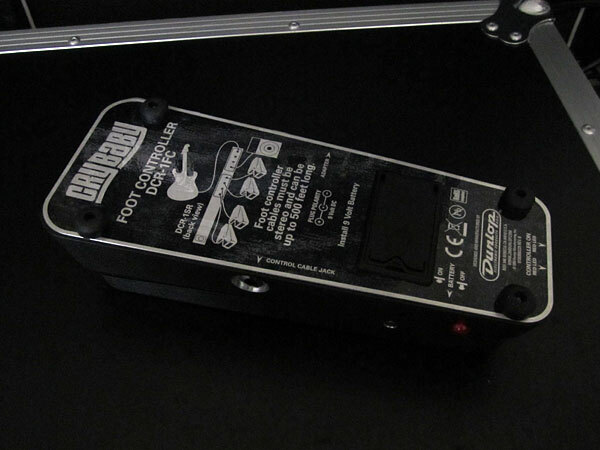 The Cry Baby unit is used for wah and volume control. I am using the VCA volume input on the Cry Baby unit so there are no long audio cable runs to my pedal board. I control the switching via a Ground Contol Pro midi footswitcher, Ernie Ball Volume pedal and Dunlop wah control pedal. When using the EVH 5150 III head I have a RJM mini amp gizmo hooked up to handle the amp switching via midi. I have had a few requests for info on the Jackson Strat I have been playing when not shredding on my Jackson Rhoads RR1T's. Here are the details.... 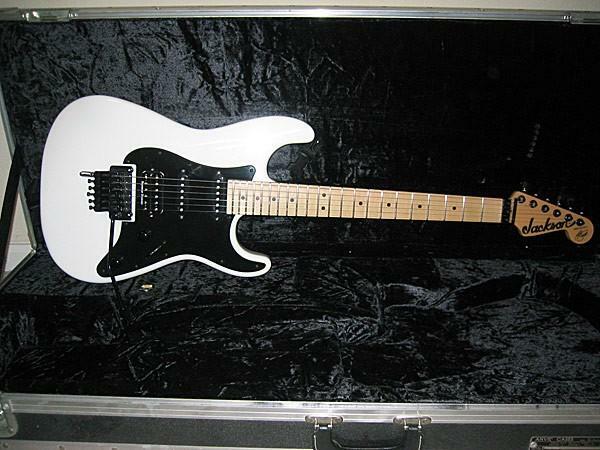 The strat is a Maple Neck Jackson Adrian Smith USA Model that I have added a few of my personal touches to: I swapped the Bridge Pickup with a Seymour Duncan JB Trembucker (pole pieces spaced for Floyd Rose Tremolo) Gives me a smoother tone with plenty of sustain. Swapped out the Tone Knob with a Push Pull Knob to split bridge JB humbucker to Single - Humbucker for when I need more Twang than Bang - I live in Nashville :)~ Added a EVH D Tuna to the low E string for easy drop D Tuning. Blocked off the bridge with a Tremolo Stopper from FloydUpgrades.com so that the D Tuna works properly. Guitar is strung with GHS Boomer 10-46 strings. Thanks to Jeff at Corner Music here in Nashville for doing the setup and electronics work on the guitar! For more details on my gear check out the Gear Section. I have been an endorser of Jackson Guitars for a number of years. 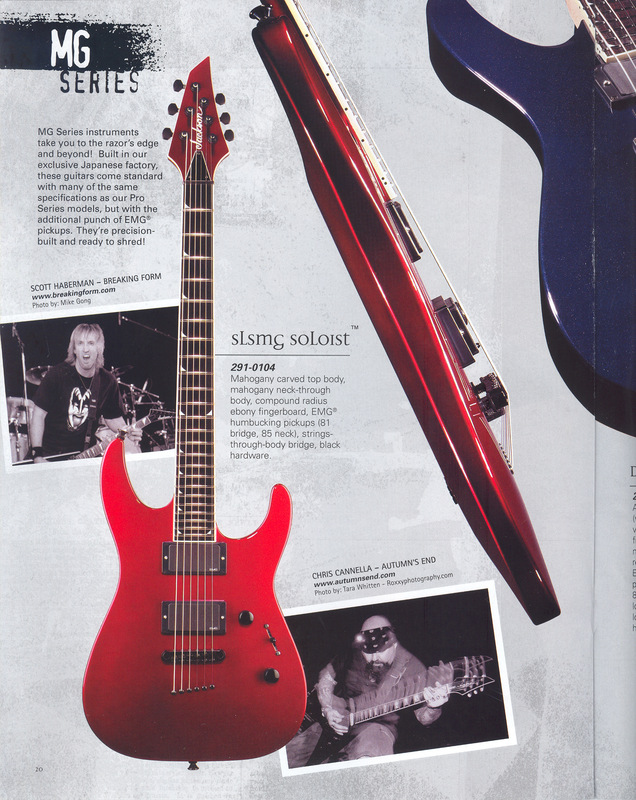 I am featured in the Jackson Guitars Catalog. Here is a scan of the catalog. 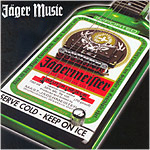 The BREAKINGFORM song "Soccer Mom" is available on the Jager Music CD which also features, Slayer, Hatebreed, Shadows Fall, Lamb of God, and many more!